OBSCURA may seem new to us prog fans, but they have actually been around for over ten years. The website suggests a very ethereal, and poetic concept of the band. 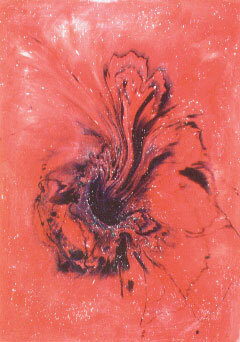 They seem to take influences from all that is encountered. However, Italo Calvino's work seems to be a primary inspiration. They enjoy a mysterious collective personna, and even wish to remain visually obscure (thus no band photo). As specific information about the band is also hard to come by, I went to the source. The following was provided by Davide Cagnata. 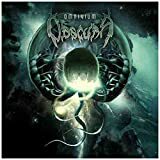 OBSCURA was born in 1996, founding members were Massimo Tabai (keyboards - composer), Matteo Cavallari (guitars - lyrics), Matteo Pinfari (bass), Marcello Ricci (drums), Barbara Mazzola (flute) and Luca Palleschi (vocals). 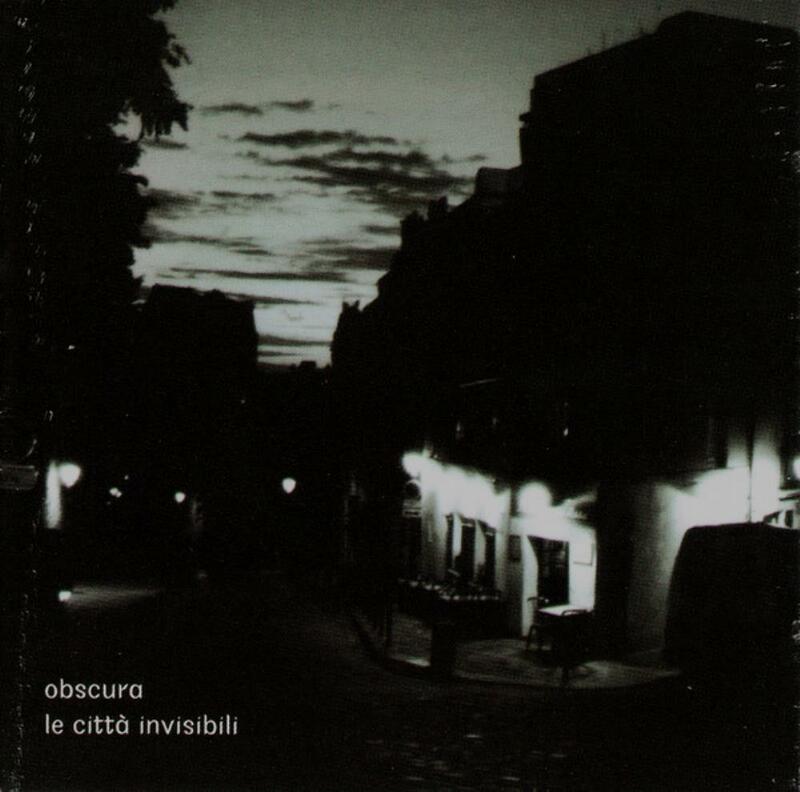 The band played live gigs that year, and in 1997 started recording tracks for the first cd "Le Città Invisibili", inspired from a book by Italo Calvino. Recordings took place at David Cremoni's house, and initially the producer had to be Cristiano Roversi (Moongarden, Submarine Silence) that showed up only once, nevertheless contributing to the album by urging Matteo Cavallari to write "Ombre Tra La Folla", so adding a metal flavor to the general palette. David Cremoni took charge of production, and before finishing the instrumental tracks Luca Palleschi left the band, replaced by Davide Cagnata. Palleschi later joined Moongarden for "The Gates Of Omega" and "Round Midnight" albums. Once finished, nothing was done to release the album, and the band came back to touring, at first with the classic "electric" version, and later with an "acoustic" version. 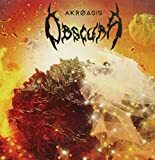 Some year later OBSCURA went on hiatus, with some members busy on other projects. In 2004 Davide Cagnata found the almost forgotten cd, had a listen, then sent it to Mellow Records, which agreed on releasing the album. After some delay, the cd was distributed on July, 2007. Following the good reactions from reviews and prog fans, the band regrouped, and is planning a new album for the near future. H.T. Riekels (bhikkhu), and Davide Cagnata. Short-lived Italian band from Mantova, starting with Matteo Cavallari on guitars, Barbara Mazzola on flute, Matteo Pinfari on bass, Marcello Ricci on drums, Massimo Tabai on keyboards and Luca Palleschi on lead voices.They recorded one album at the second half of the 90's, produced by Davide Cremoni, during its sessions though Paleschi left (and later joined Moongarden) and was replaced by Davide Cagnata.For unknown reasons it was shelved with the band touring for some time, before dissolving.Eventually it was released about a decade later as ''Le città invisibili'' (2007, Mellow Records). 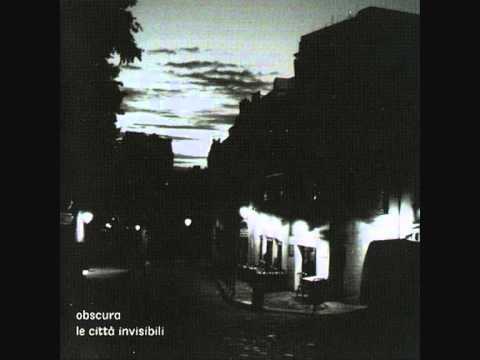 And it would be a shame if this remained on the shelves, because this is a prime example of beautiful modern Italian prog with symphonic twists.Influenced by bands such as Banco del Mutuo Soccorso, Blocco Mentale and Maxophone, ''Le citta invisibili'' is a perfectly-arranged work with big time Classical colors, fantastic interplays between flute and keyboards, dramatic singing parts and loads of Mellotron.Excellent atmosphere with romantic moments and more melancholic touches to go along with melodic ethereal flute lines and some heavy guitar riffing, that is far from disturbing.To my knowledge only Cagnata remained strictly involved in the music industry, playing with his main band, Prog Metallers Dark Ages, while Matteo Cavallari is still recording solo tracks.A definite classic of the modern Italian Prog scene. On the whole this album is not a masterpiece but the band had a good potential and it's a pity that they have stopped their activity... If you love Italian Symphonic prog, have a try! This is a new Italian sextet, their music sounds as a pleasant and alternating blend of several styles in which the contrast between the sparkling Grand piano and heavy guitar riffs like Black Sabbath are very remarkable! It gives an extra dimension like in the varied compositions Limbo Cosmico Part I (from mellow flute to heavy guitar and a wonderful, very sensitive guitar solo, supported by huge Mellotron waves, goose bumps! ), La Citta Del Sole (sparkling piano and heavy guitar riffs, an accellaration with organ and guitar and finally Fender Rhodes and again heavy riffs), Limbo Cosmico Part II (beautiful interplay between piano and flute, a moving guitar solo with lush organ and a great final part with good vocals, flute and choir-Mellotron) and the excellent final composition Guernica (alternating with Fender Rhodes piano/flute and neo-prog with fluent synthesizer flights, organ and propulsive drums and a compelling part with wah-wah guitar, first supported by organ and then by majestic choir-Mellotron, goose bumps again!). This CD delivers two short pieces: Bersebea featuring Grand piano arpeggio's and mellow flute and Ipazia with a flute/acoustic guitar duet, wonderful. 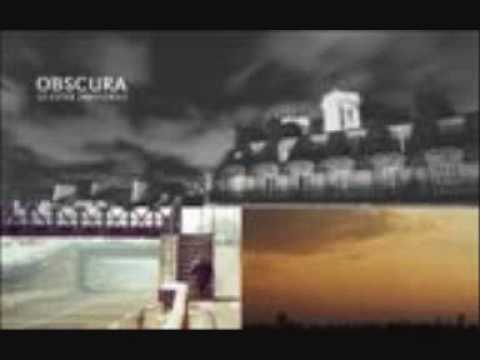 Although they still have to mature in composing and (recording), to me this debut album by new Italian band Obscura sounds as a very pleasant and original blend of symphonic (tasteful vintage keyboards), classical and hardrock, I hope it will not be just another one-shot-band. My rating: 3,5 stars. 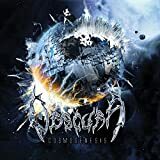 Obscura's roots go back to the nineties and the band has associations with another Italian group called Moongarden. It turns out that MG's former guitarist Cremoni and Obscura's vocalist Cagnata are acquaintances since childhood, and several members of each group still live in close proximity. Before I even confirmed the connection I had listened to this album and found it reminded me of Moongarden's classic "Round Midnight," not close enough to be a twin brother, but more like a cousin. Round Midnight has a more disciplined and firmly constructed feel while "Le Citta Invisibili" is looser and dreamier. Le Citta came first, recorded in the 90s but shelved for years and not released until after Round Midnight. But they seem to cover many of the same thematic lyrical concepts such as social isolation, alienation, and sadness for the state of our planet. They also share a successfully realized love for fine presentation. Both feature marvelous CD booklets with great artwork tied to the themes. Obscura gives you a stunning collection of color photographs that are dark, haunting, yet beautiful at the same time. Musically Le Citta resides in Symphonic on our site but they show influence of Neo, lighter Prog-metal, and of course Italian throughout. I like the album very much for its many atmospheres despite some problems with sound and execution. Let's get the criticism out of the way first: First, the album has an odd sound sometimes resulting from a less than perfect production. At times clarity is lacking or the mix is not perfectly adjusted. Second, there are some moments where the composition choices and arrangements seem questionable or clumsy, or you may hear a piece of playing or singing not quite letter perfect-is the chorus of "ombre tra la folla" just a bit off key or is it my ears? In fact that chorus portion of "ombre" gets a little more painful each time as it seems very forced, shooting for a heavier edge without much success.the chunky power chords seem aimless, almost randomly selected.a bit like a high school band's first garage anthem. 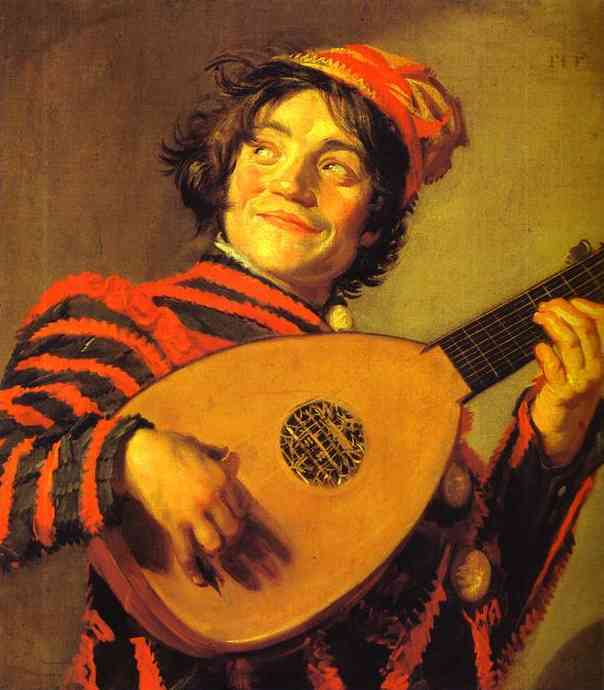 The guitar solo section is much better to be fair. But on to the good stuff and there is plenty here to enjoy! The album covers quite a bit of musical territory with sections that are quite rocking with distorted metalized chugging guitars to mid-range parts featuring neo-sounding keys, there is mellotron for the tron fanatics, and then all the way to pastoral sections of piano, acoustic, and flute. Sometimes the transitions can be harrowing but this keeps the pace a bit unpredictable and exciting-this is truly an album that will throw some surprises at you. There are several delicate instrumental tracks which serve to enhance the imagery provided by the superbly chosen photography: bersabea, ipazia, and zemrude. The band seems to excel on the more delicate material and these poignant moments are what make the album. Midway through "Mondo 3" (World 3) you will hear flute floating over clouds of mellotron until the electric guitar comes in with a darker contrast reflecting the heavy lyrics of the piece speaking of war, poverty, and less than admirable leaders. Part 1 of "Cosmic Limbus" makes great use of dramatic piano sections and smooth, very pleasant vocals. Combined with part 2 later in the album the 15 minute piece shows the potential of Obscura quite clearly and is the compositional highlight. Nice nuance and evolving throughout with guitar and flute unison runs, harmonized vocals, and bold synth play. The two photos selected for each part speak volumes about the serious overtones, I can't speak for the band but to me they address well the impact of the human footprint on the planet. Really nice piece. "City of the Sun" is less successful than "Cosmic Limbus" as their attempts to blend the dreamy sound with the light metal edge again sounds forced to me. The closer "Guernica" recovers very nicely with every performance simply delicious: great drumming attuned to the track's needs, a passionate guitar solo, perfect bass and keys coloring, and a warm vocal injecting hope as the album fades with the guitar solo still wailing in the background. Mmmm, nice. To be frank this album is not as good as Round Midnight overall in my opinion but it is worth checking out for Moongarden fans. 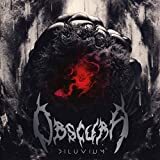 I believe that Obscura is capable of making their next album great and I'm already dying to hear it. I hope they build on the numerous bits of heaven found within the promising "Le Citta," especially the "Cosmic Limbus" which has become a recent favorite on my system. 2 1/2 stars, a mixed bag for sure.